On the product page, click “Add to cart” under the product you would like to purchase. 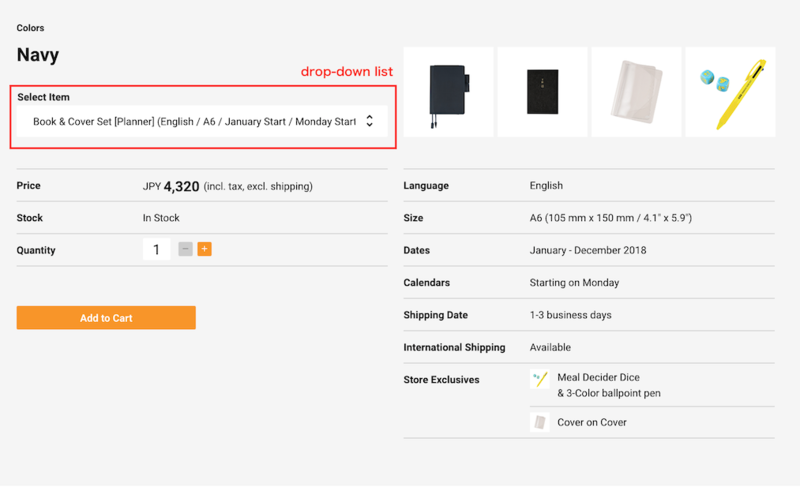 For products that come in several designs and sizes, please select an item you would like from the drop-down list. This will bring you to your shopping cart. You can change the quantity of the product here. Click “Continue shopping” to return to the store, or “Proceed to check-out” to complete your purchase. Next you must log in to your account to proceed to check-out. 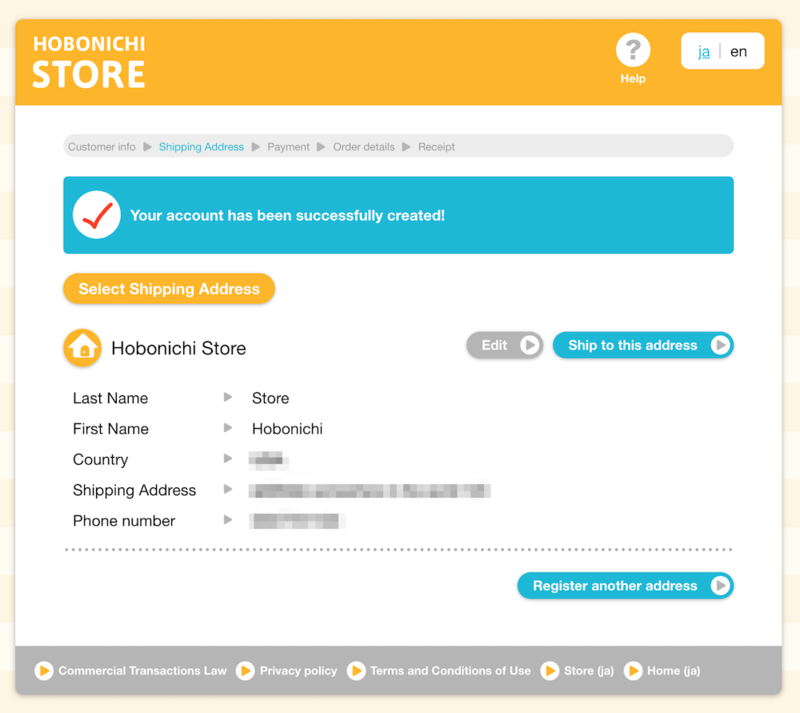 If you have ordered from Hobonichi Store in the past, enter your e-mail address and password in the orange box to log in to your account. 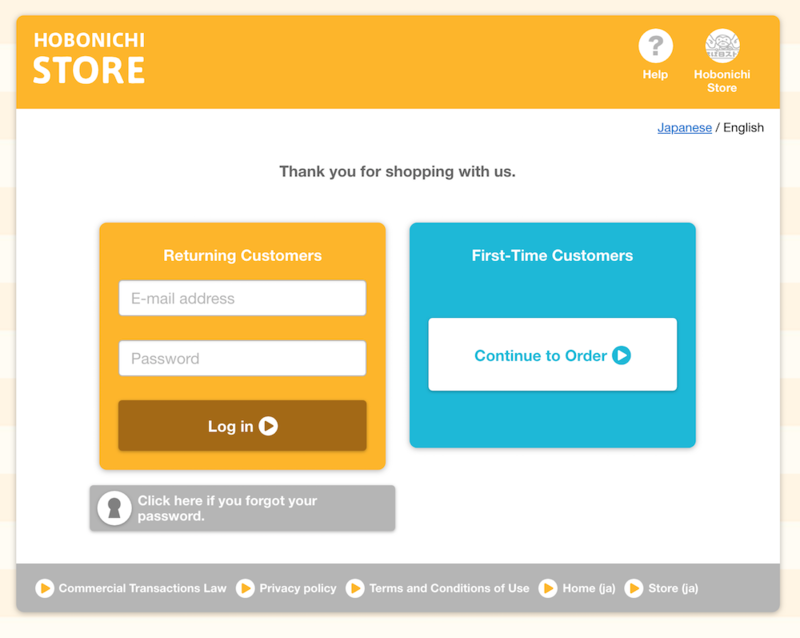 Click “Continue to Order” under First-Time Customers if you do not have an account yet. 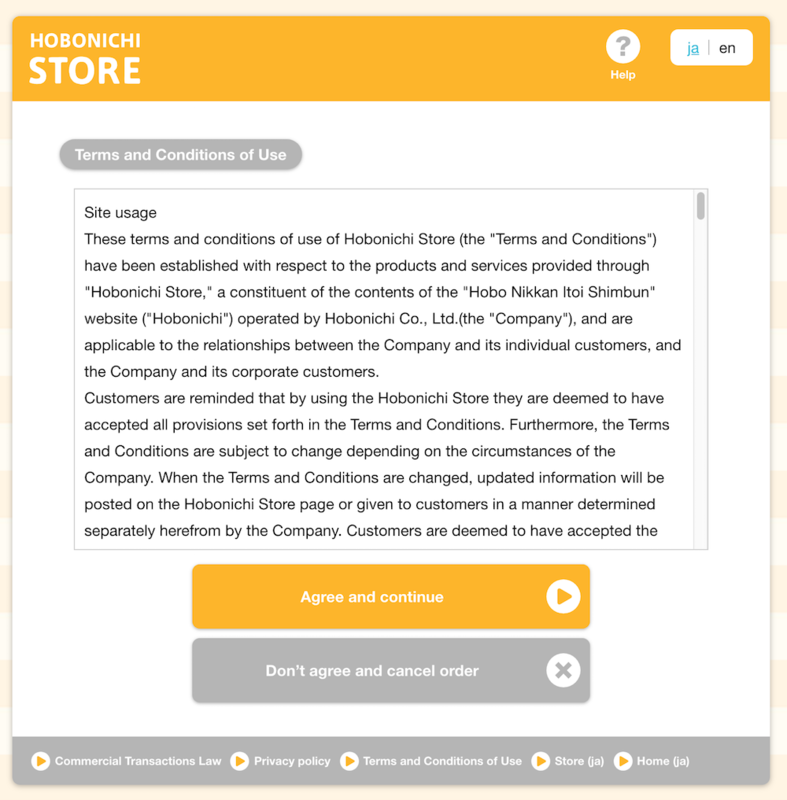 Read the Terms and Conditions of Use and press “Agree and continue” to proceed to new account registration. 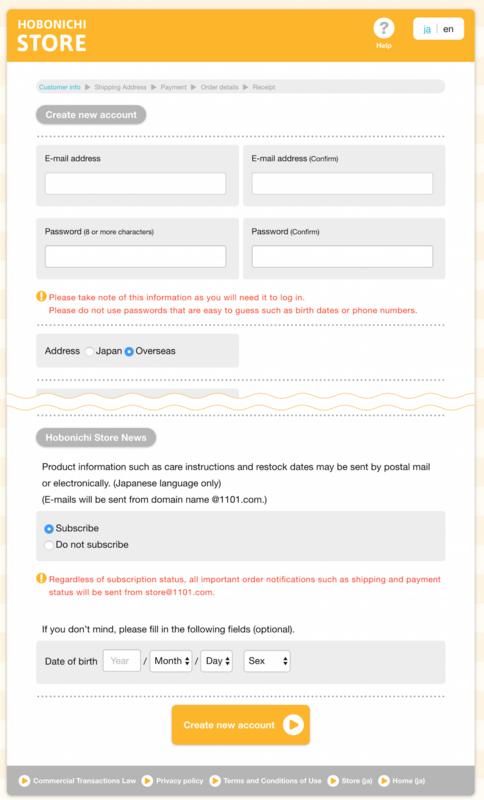 Enter your e-mail address, password, name, shipping address, and other information as directed. A billing address is not necessary. 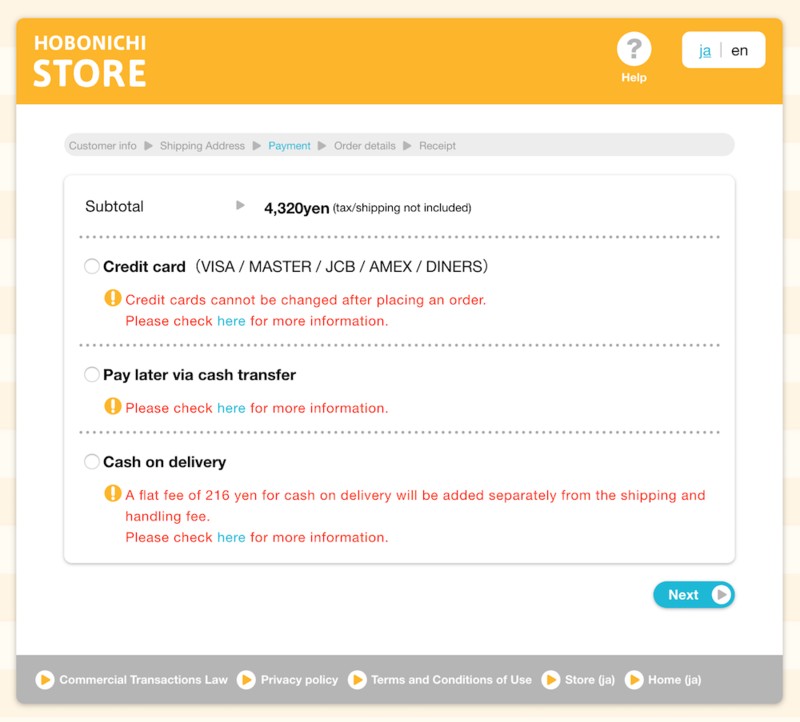 This information will be used in future orders in the Hobonichi Store. Please make sure to enter your e-mail address and password accurately. Only one account can be made per e-mail address. When you have finished filling out the form, click “Create new account”. Your account is now complete. In the future, please log in to the account using your e-mail address and password. Your shipping address from earlier will appear on the screen. Click “Ship to this address” to continue. *To ship to a different address, click “Register another address” on the bottom right to enter the new shipping address. Select your preferred payment method. Click the “Next” button when you have made your selection. 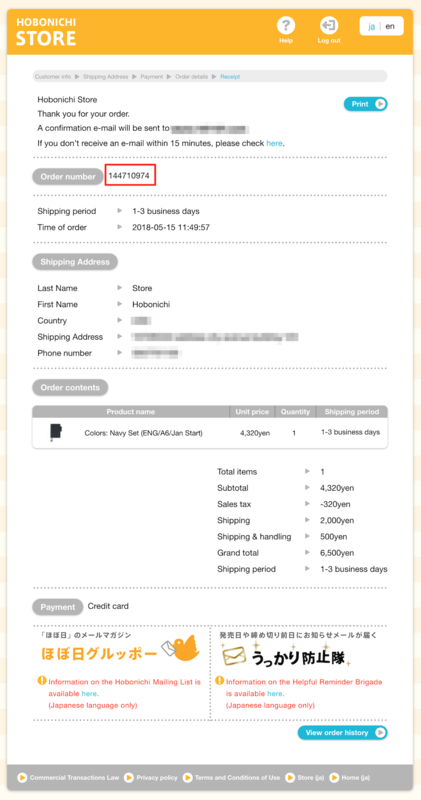 *International orders are credit card only. You will be taken to a screen to confirm your order contents. Please check the accuracy of the contents. If you would like to make any changes, click “Edit” on the bottom right of the section. 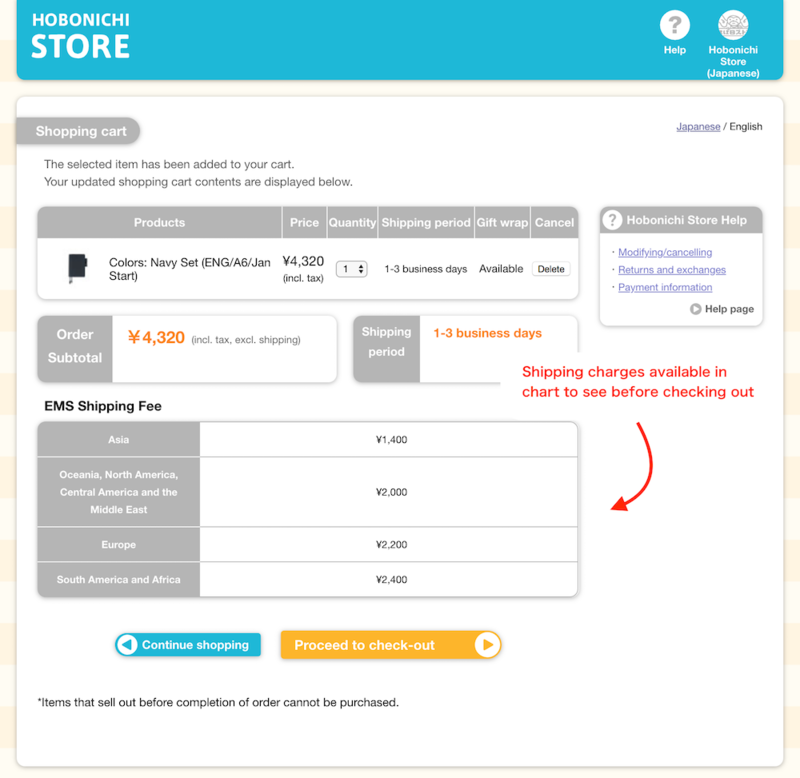 You can also select your shipping options when shipping within Japan. Click “Finalize order” to complete your order. 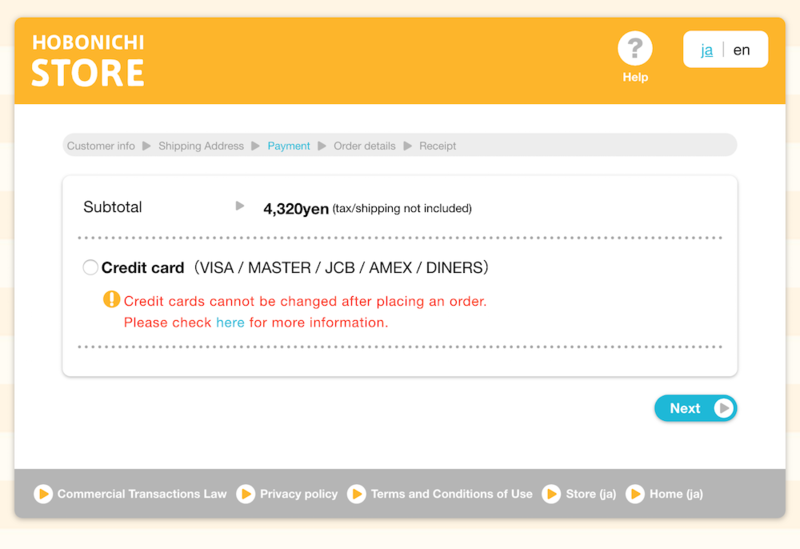 *If you pay by credit card, you will need to click “Enter credit card” and enter your credit card information. Please follow the instructions on the screen. Your order is complete if you have received a 9-digit order number. You should receive a confirmation email within 15 minutes. If the e-mail does not arrive, please click here. Where else can I buy the Hobonichi Techo outside of the online Hobonichi Store? Is there an English Hobonichi Techo Planner that lists weeks starting with Sunday? 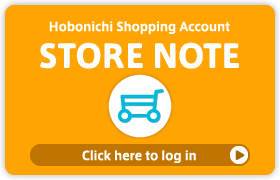 What is the Hobonichi Store? How many of an item can I order? I want to buy something that’s not on sale yet. What time will the item go on sale on its release date? I can’t change or cancel my order. I can’t reset my password. My cover broke. Can you fix it? Inquiries received outside of business hours will be addressed the following business day.